This Handmade 5-light chandelier is beautifully crafted in a industrial look. 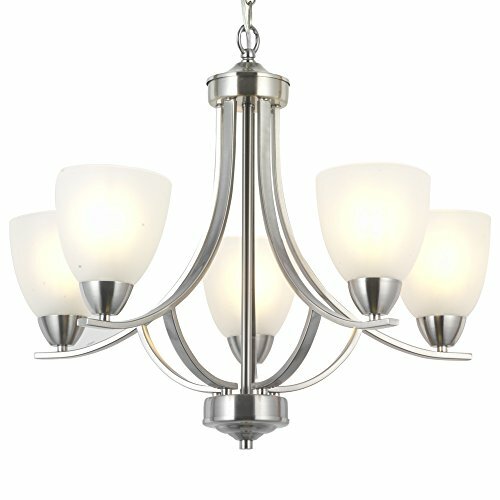 Its traditional design in brushed nickel finish adds the perfect touch of elegance to your dining room,entryway or foyer. If you have any questions about this product by VINLUZ, contact us by completing and submitting the form below. If you are looking for a specif part number, please include it with your message.